Kermit and Miss Piggy celebrate Valentine's Day. 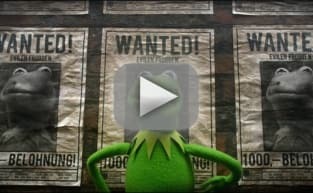 Do the stars of Muppets Most Wanted make a love match? Muppets Most Wanted: Happy Valentine’s Day From Kermit & Miss Piggy!